Lightweight and sturdy, the Adventure Kings Deluxe Adjustable Camp Chair can be set-up in seconds and folds down into a convenient carry bag. With its ability to recline to a lying position, you can go from eating dinner to lazing by the fire just by leaning back, making this one of Adventure Kings’ most convenient chairs. Made tough, the reclining chair features a steel frame with comfortable 600D polyester fabric. The setup process is easy, and you’ll go from having a packed chair to sitting comfortably in only a matter of seconds. When you’re done you can quickly fold up and pack away the chair into its 210D polyester bag. 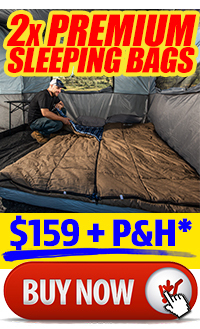 Grab yourself an Adventure Kings Deluxe Adjustable Folding Camp Chair and enjoy all of the comforts of a laid-back camp experience. 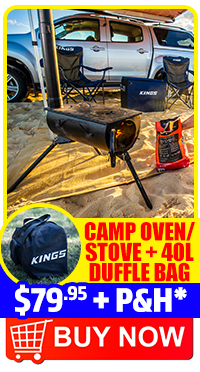 The Adventure Kings Deluxe Reclining Camp Chair is going to be a big hit at your next Happy Hour! 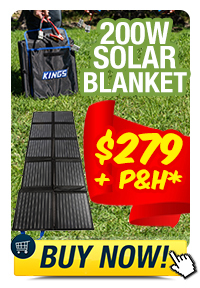 Adventure Kings range of camp chairs are perfect for backyard BBQ's! Looking to kick back at your campsite, you need the Adventure Kings Reclining Chair! The Adventure Kings Reclining Chair is the ultimate way to relax at camp!